Blogging is an area in which a person can write literally anything. It could be about personal experience or some marketing blog about any service. A blog can also be about the profession in which the readers are interested. For example, if you into fitness, you can have a blog related to sport, health, and beauty. It was earlier known as a personal weblog from which it became the blog. Blogging has endless marketing opportunities. Because of frequent updates and readers engagement, blogs have become quite important nowadays. Spectacular writing styles with the addition of some hacks will help your blog sore high. Blogging is one of the most popular platforms to promote products. Moreover, it is easy to create and use. What you need to know is to know how to type and some specifications of the website. However, sometimes, even if you’ve created a great content, you may wonder why you do not get enough readers and traffic. So, if you care about your blog and want to see it as the first result in the google search, then keep reading! It is a very good SEO tool and with new content and the right keywords, your article or post can become more engaging than ever. Given the fact that your writing is great, your readers can’t wait to get more from you. Your customers or clients can stay in constant touch with you to get updates about services. You can also write about some recent upgrades in your products or some great deals. Such deals are always bringing a lot of subscriptions. You don’t have to spend a lot of money on writing blogs. The main ingredient is your artistic way of writing. So, just let your creativity flow in the words and let your writing do the rest. Blogs are also an authentic platform to advertise or promote due to the added details and images. Make sure that your details are to the point and try to write only the required information. Also, the images that you are adding should be related to the content. 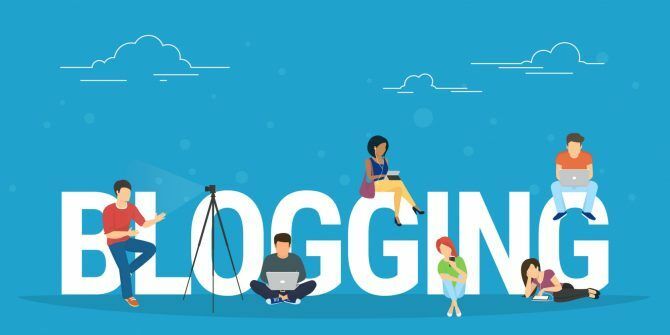 Blogs can help you build a connection which is not only based on your credibility but also on your client’s feedback through comments. It is quite important to keep checking the comment section and reply to the readers. In that way, your readers will understand that you give importance to their feedback and will help to establish trust within you. Also, try to incorporate some of the comments they give. Your audience will see and understand that you value them. Why Do You Need Traffic to The Blog? Increasing traffic to your blog is one of the most important things to be done apart from writing. Even if your products are the best and your writing is spectacular still your articles will not be read by many people if you do not drive traffic towards your blog. Why? Well, the answer is simple. It is because they don’t know the products or services which you are trying to promote even exist. That is why you need to divert traffic towards the blog just so people can get to know you. The rest depends on your creativity and expertise. If you are having problems gaining lots of views and comments then you are in the right place because we are going to give you some easy to use and result yielding 11 hacks to increase traffic to your blogs. Following are top hacks gathered from various sources and are based on result analysis. So in short, these hacks will definitely work. So just integrate them into your work and see your blog swarming with many readers. Developing content is not enough, you need to reach your audience. For this purpose, you need to include the most searched words on google that are keywords. Therefore, do your research well before writing. It has been shown via some statistics that the articles are read about 81% more when such keyword optimization is done. You should add keywords in the title, URL structure, meta description and body content. There are many online apps that can help you to find out such words like Adwords or other similar applications. Include words in the most appropriate way to make sure that they smoothly mingle with your content. Just writing random content and not organizing them in a proper way is not a good way to write a blog. It is recommended to write about 10 - 20 different headlines for 1 post. All the headlines are organized. Yes, now we have Facebook, Twitter, Instagram where promotion can be done. But email campaigns remain to be one of the most authentic platforms to increase traffic to your blog. You can customize emails as you want them to be. As told earlier emails can help you promote your blog effectively. And adding a business email signature to your email is another big advantage. The email signature can make you look authentic, so your readers will believe and trust you. Email signature includes few details about you or your organization. It can also include an image or banner which can be either your headshot or logo of company. Once you start blogging you need to be regular and you need to update at least every week. It has been statistically proven that having a minimum of 20 posts per month will give you 4 times more traffic. It can be overwhelming at times, especially when you are involved in other jobs but you have to keep up with the competition. So, if you really care about your blog or this is something which means to you a lot then you need to work on it regularly. Not only writing. You need to be up-to-date with the latest news and tweets. When we say detailed content it doesn't mean very long and boring blog, it means that your article has enough information which is relevant to the topic. Writing very short blogs can decrease your traffic because it will seem like you are not putting enough efforts and would look incomplete. Therefore, try to have a minimum of thousand words with many headlines and include some detailed content along with keywords. Try to break down your content into points or many paragraphs so that it looks visually appealing. Basically, it needs to look short but with detailed content. All relevant information must be given with relevance to your topic and also explain why it’s important to talk about them. It is very important to insert links to other relevant blogs in your content to improve click rates and drive traffic. So, try to find only relevant posts that are important and contain information that is worth the time of readers. Unnecessary links might decrease your subscribers because they will think that you are just promoting them only for the sake of promoting and not thinking about the content. Therefore, the cross-links must provide further information about your topic. Cross-linking will also improve relationships with other bloggers. This will lead to your post being linked back in others posts driving more traffic to your website. Nowadays, in the era of advanced technology, social media has emerged to be an important platform to promote your blog because of a high number of users. Everybody has smartphones and anybody can access social media marketing tips from anywhere. Therefore being active on social media pages is quite crucial to generating buzz about your blog. Although it is not a sure thing whether people will read or subscribe but higher number of people will definitely see that you are a blogger and you are writing something. Also, if someone likes your blog or found something that connected to their life - they will share the material leading to more views. Facebook and Instagram are the two most important social media platforms which are not to be missed. You can also offer some incentives on these social media platforms like some free service for first subscriber or free trial for first few days, or product at a discounted rate which can get you massive traffic. Such incentive driven campaign has shown to increase traffic by 10% within a few weeks. Although blogging is about putting some images or some graphs that help to minimize the time taken by the reader. It can improve the experience and the reader will return back again. Some visual content like infographics, videos, illustrative photos and annotated screenshots can be added. You may also add youtube videos to your blog which is a great way of increasing traffic. These images must be crispy (high-quality) and it must be enhanced to look beautiful. If you write too much text it will quickly become boring so adding a few images and animations will definitely improve the reader’s experience. There are communities which help to deliver audience. Your article can be submitted to ьany online curation communities and then your post can gain more views. Do not consider it as a way to get traffic without good writing style. It will only work if your content is detailed and is truly worthy. You will gain a higher number of readers. So as you can see, these top 11 hacks should be definitely included on your blog if you want to be seen by a larger audience. If used properly, all these tips will yield positive results and make your blog soar high. Also, try to be patient to see results of these hacks. Always remember that something that works immediately will be short-lived and something which takes time can give you long-lasting results!